19th October 2014 – Emmanuel Bett (KEN) just missed out on making it a hat-trick of victories for PACE athletes at the Great Birmingham Run. Following wins for Micah Kogo (KEN) in 2012 and Thomas Ayeko (UGA) in 2013 Emmanuel pushed early in the race to gain the lead over the rest of the field. On this occasion he was unable to hold on and was overhauled by eventual winner Joel Kimutai in the final stages to take second in 62.33. Thomas Ayeko tried to put up a strong defence of his title but became embroiled in a battle for the final podium place but eventually took fifth in 63:27. 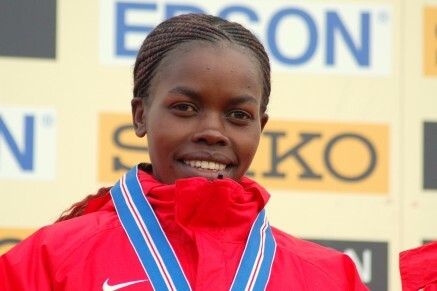 In the womens event there was a welcome return to action for former Commonwealth silver medallist Doris Changeywo (KEN). In her first serious race for 2 years Doris started cautiously but finished strong to take second place in 71:29. Making her half-marathon debut, Linet Masai (KEN) pushed hard midway through the race to hang with the leader and look for victory but found the last few miles tough and finished third in 71:45. There was a road victory though for Steph Twell (GBR). Continuing her strong early winter form which has already seen her run the fastest leg at the National Road Relays, Steph took a commanding win in the Cabbage Patch 10 mile, completing the course in 56.05.